We also provide advice online. We like sharing our knowledge about the skin with you. Did you know, for example, that your skin needs different kinds of care depending on the specific day, location, time of the year and stage of your life? We have just the right products and care concepts to accompany you throughout every stage. We want to see you look your best with well-cared-for skin, radiant eyes, healthy teeth and silky-smooth lips. 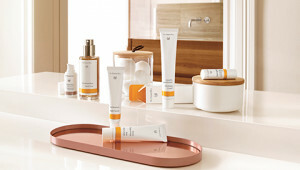 Regardless whether you have just discovered Dr. Hauschka Skin Care products or you’ve been using them for years, here we come up with a personal care regime together with you, specifically tailored to you current skin condition.